Before we took off to live in Cozumel, we spent a year in the San Francisco Bay Area. It seems everyone there is involved in a start-up of some kind. I’m not kidding. I met people who were literally working 80 hour weeks while living off of savings because they believed if they could just work hard enough, then they’d catch their big break – Google would come in and buy them for 5 billion bucks and they’d live happily ever after. What I did instead was much simpler. I created a service-based business and got real paying clients who gave me real money. I then put systems in place and hired a team to get the work done. I was profitable in my very first month in the business. I then simultaneously scaled my business while reducing my own hours and personal involvement. Then I took off to live in the Caribbean for over 2 years all with my wife and kids. 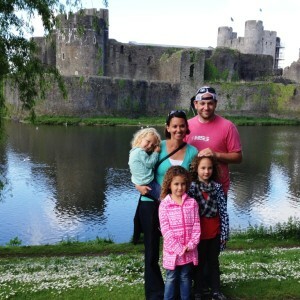 Then we spent half a year in Europe exploring castles… just for fun. As always, I’m not saying that to brag – just to state that you don’t have to slave for 80 hours a week for 5 years to hopefully sell out to Google and THEN live your dream lifestyle. If your goal is to create the next Instagram because of ego or a sense of accomplishment, cool. Do it. But if your goal is to make money, there’s a much more immediate way of doing it. But a Lifestyle Business is not a REAL Business! I suppose we could look past the fact that of all the people I met, none of their businesses were yet profitable. None of company officers took a paycheck. They all worked ridiculous hours. And they all talked about customer acquisition instead of actually getting real customers. I mean, if that’s a real business, cool. But I personally want nothing to do with it. Huh. Well, I was active in selling services which I got a lot of money for. Come to think of it, by this definition, I am the one with the REAL business – not just creating some cool new app, software plug-in, or the next social network. What you don’t see are those same employees calling in sick, or missing deadlines, or quitting. You don’t see the owner dipping into his/her savings just to make payroll. You don’t see all of the stress and sleepless nights the owner goes through. A lifestyle business doesn’t have many of the same challenges that a startup does. Take a look at the chart below to see what I mean. Call me selfish but I didn’t create my business to create jobs or to help put food on other people’s table. I created it to put food on my own family’s table. Oh, and to then do whatever the heck I want to do! That’s not to say I don’t care about my business or my clients in any way. I love this business! I love the services we offer our clients. The clients love the services! I love my team that completes all of the work for our clients. My business actually has a lot of people involved and because of the way I’ve structured it, everyone benefits. Our clients benefit from our services. My team members benefit from their employment. And I benefit from a successful business. It’s a win for everyone involved! There are no downsides. If you want to create an app that’s going to change the world, that’s great. A startup might be for you. If you want to make money quickly, scale it, and then do whatever you want, then a lifestyle business might be for you!